​An intermediary working on behalf of ​Everton has reportedly opened talks with Hannover 96 to organise a transfer for striker Niclas Füllkrug. ​Get German Football News claim to have contacted several sources who have confirmed that the intermediary has opened a dialogue between the two parties. 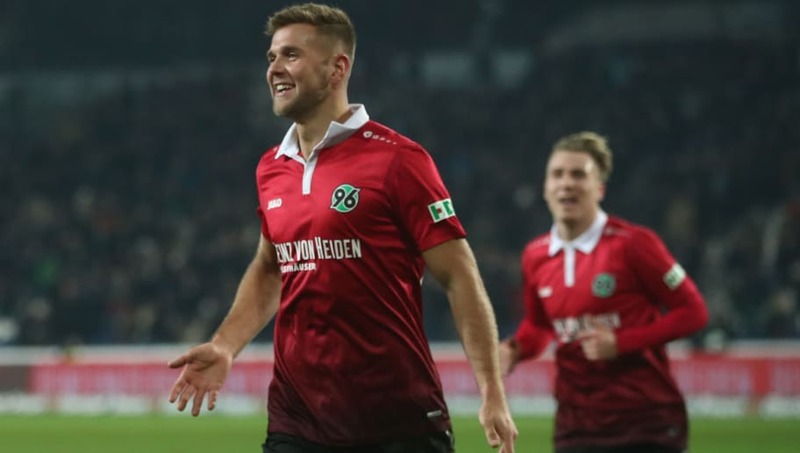 In talks with Hannover's director of football Gerhard Zuber, the intermediary is believed to have made an offer of €22m, but Hannover have thus far been hesitant to do business. They are believed to have been seeking official confirmation that the intermediary has the ability to make offers on behalf of Everton, but would also want a higher figure for their star striker, regardless of who is leading the negotiations. 25-year-old Fullkrug enjoyed a solid campaign last season in the ​Bundesliga. He scored 16 goals in 26 appearances, including 14 goals in the Bundesliga. His performances saw him finish as the third top scorer in the league, tied with Mark Uth and Kevin Volland. ​Bayern Munich striker Robert Lewandowski finished the season with 29 goals, meaning he finished the season comfortably as top scorer. Freiburg's Nils Petersen netted 15 times, meaning he beat the trio of Fullkrug, Volland and Uth to second place. Fullkrug was believed to have a good chance of earning a call up to Germany's national team for the ​World Cup this summer, but lost out to Mario Gomez, Timo Werner and Thomas Muller. Everton finished eighth in the ​Premier League last season, but started the campaign very disappointingly. They were towards the bottom of the table until the end of 2017, when their fortunes and form changed drastically. Manager Ronald Koeman was relieved of his duties in October, and Sam Allardyce was brought in in an attempt to improve the side. Allardyce undoubtedly achieved his goals, but left the club at the end of the season. Former ​Watford manager Marco Silva will lead the club for the 2018/19 season.